Please be ware that any commercial use is NOT allowed without the written permission of World of Paperships, NL. Australian Murray River paddlesteamer "Alexander Arbuthnot"
This set can be downloaded for free and is intended for personal use only. 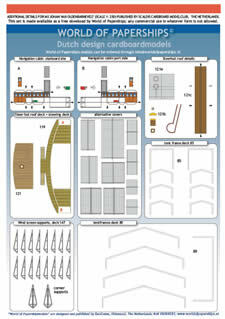 It contains spare parts for the cardboard model of the "Alexander Arbuthnot". This set can be downloaded for free and is intended for personal use only. 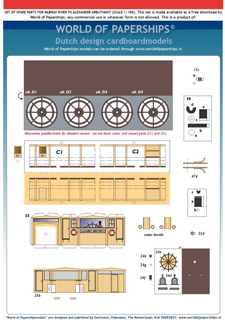 It contains extra parts to "super" the scale 1: 250 cardboard model of the Dutch liner ms Johan van Oldenbarnevelt, published by Scaldis Cardboard Modelclub, The Netherlands. 1: 250 scale model of the museumship Christiaan Brinings. 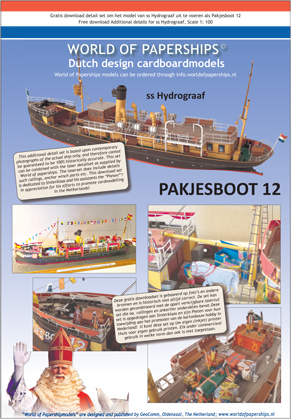 Sinterklaas diorama set:contains figures, guirlandes and deck cargo to transform the ss Hydrograaf into the Pakjesboot 12 used by Sinterklaas to bring loads of presents to the Dutch children. And,if they behaved well this years, also to the grown-ups! Print this set out at 100% for the 1: 100 version of the ss Pakjesboot 12. 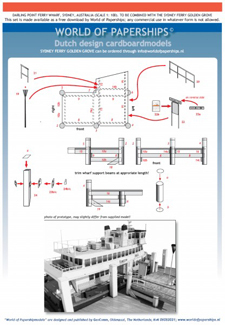 Set your printer at 40% scale to print out a set for a 1: 250 scalemodel of the Pakjesboot 12. 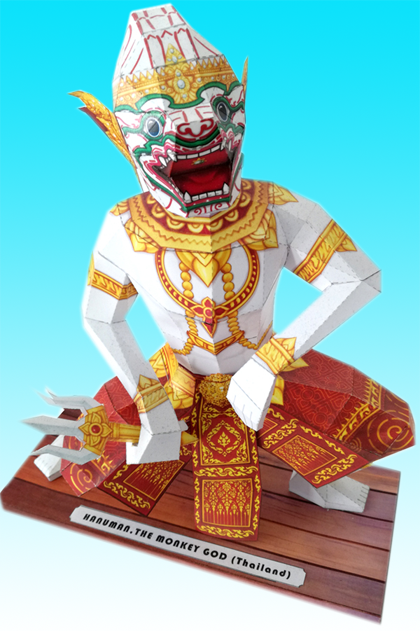 These display footplates are suitable for the cardboard models of the Thai Gods Hanuman and Thotsakan. and print them out on your inkjet or colour laserprinter. Use UV lack spray (satin or high gloss) to spray the display standard after contruction. ut the written permission of World of Paperships, NL. 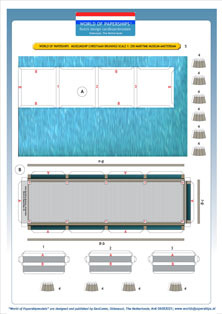 Please be aware that NO commercial use is allowed without the written permission of World of Paperships, NL.